Yet another amazing Jennifer Echols book. I know when I pick up a book by Echols; I’m going to love it. I know I’m going to get the heart swoons, the stomach fluttering, and the little smile on my face. I also know I’m going to get a great story to go along with it. Dirty Little Secret is no different. Bailey and her sister Julie used to go out and play the music scene together. Then Julie got a record deal and Bailey was left behind. Not only were her dreams pushed to the back burner, her family wanted to keep her a secret. That is the part of the situation that hurt Bailey most. Not that her sister found success, but that Bailey had to be sacrificed for her to get it. Sam has a band and will do anything to make it big. That is his one focus. When Bailey entered his life, he didn’t expect his focus to change. He didn’t think making it big would cost him something he hadn’t had in a while. The romance between these two is delicious. There’s attraction and there’s annoyance. There’s lust and there’s more annoyance. The push and pull never seems childish, but more like actual adults having misunderstandings and miscommunications and being forced to work through them if they want to be together. Ace and Charlotte could be their own story. There is so much I want to know about those two. They may be secondary characters, but they gave the novel something special. 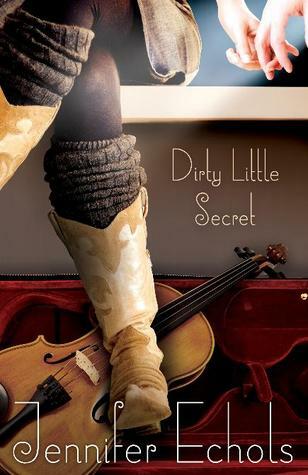 Dirty Little Secret is yet another fantastic Echols novel with country flair. If you’re looking for a romance that will leave you smiling and get music stuck in your head, this is the book for you. Thank you to Jennifer Echols for sending me an advanced copy of the novel. This entry was posted in Contemporary, The Must Reads, Young (and New) Adult and tagged Contemporary, Jennifer Echols, Must-Reads, Young Adult.